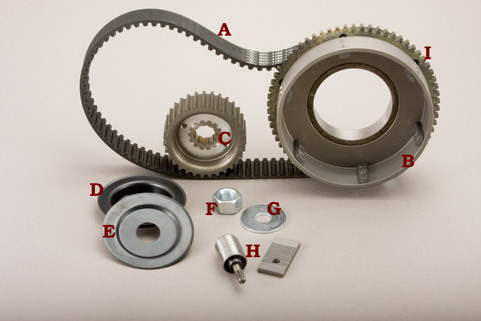 47-31 SE-4 | Belt Drives, LTD.
Our 11mm belt drives have been around since the beginning. Most Belt drive enthusiasts still believe that the 11mm kits are the best size and combination for all around riding and dependability. This drive incorporates your stock hub and clutch pack right into our belt drive pulleys. You can even upgrade your clutch to BDL’s Competitor Clutch which will give you 30% more clutch plate surface and solves that “floating basket” issue.This kit is for 1965 – E1984 Shovelhead electric start 4 speed models.